Our vegan leather tear drop earrings are sure to be a hit for your clients. Simply add a monogram for a unique gift, or wear as-is! They are light weight and a go-to favorite of ours. 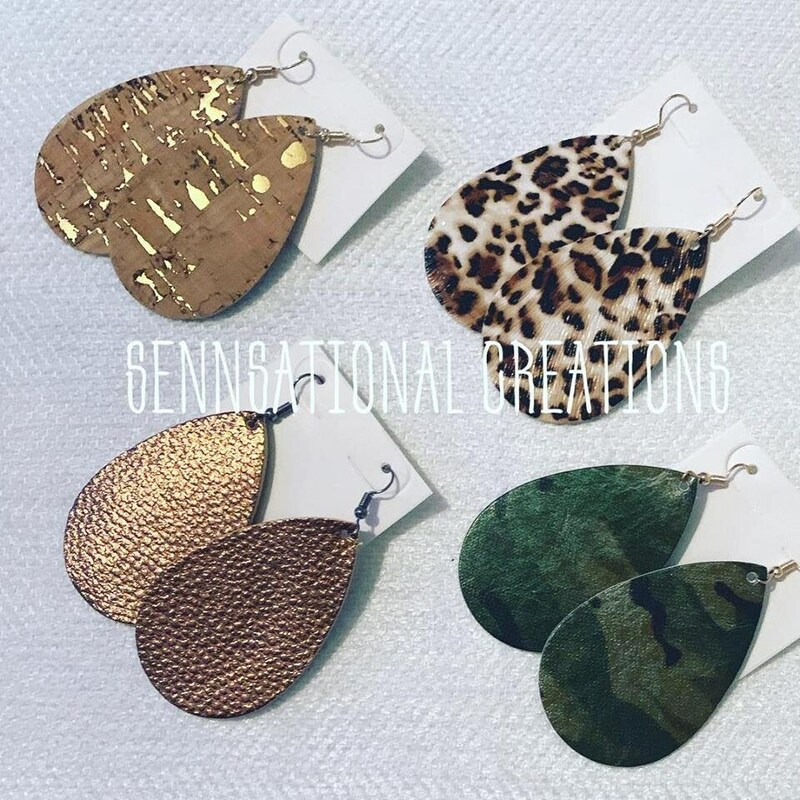 Available in cork, leopard print, rose gold or camo. Material: faux leather. Except the cork is real. If you would like to add a monogram, it will be added in either black or white and with an outdoor grade vinyl.